Everyone wants to deck the halls with blaring reds and shining silvers, eager to rush into celebration. We love the Christmas music, old and new, the blow-out sales and conjuring of merriment. We say the season is laced with magic and miracles amid the snow and woolen scarves. We don joy. But Advent is the season of purple hues and dark blues. It is the cool colors, the chill before the celebrations of good cheer. 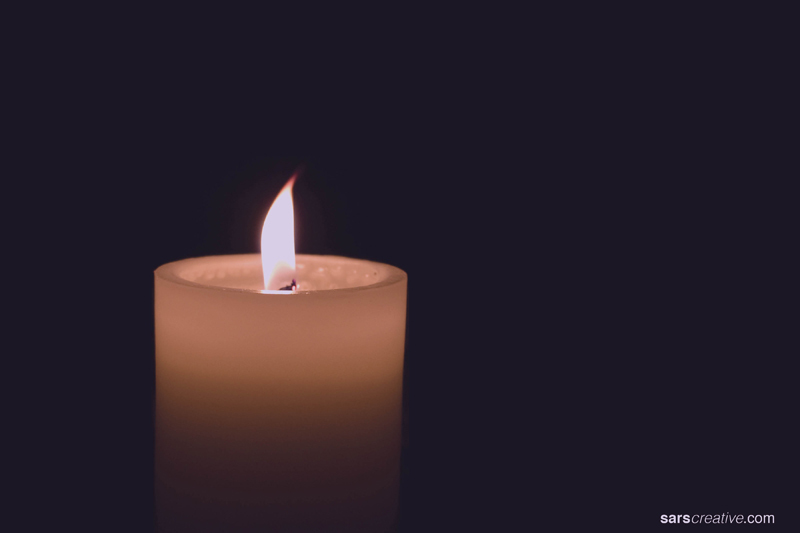 In this season of hush we light a candle, just one, against the darkness. We illuminate the thick shadows catching a glimpse of the gloom, as dense as the galaxy is deep. We are given space to say, out loud, what we know to be true. The world is not yet right. Too many neighborhoods have slipped into disrepair and live with too little justice, too little hope. Too many families find themselves below the poverty line, unable to make a living wage, unable to keep the heat on or food on the table. We see too much jury-rigging and too little jubilee, gerrymandering that misrepresents our impoverished neighbors and only serves the privileged more benefits and more power in the system. Advent pushes against the ringing bells and bobble-clad trees. We are called to see through the smoke and mirrors of our consumer-oriented culture. We’re meant to feel the angst of inequity, even the anger of injustice. Like the daughter of Zion in Lamentations we cry out for a witness – someone to see, to look, to pay attention to the state of things. Will anyone say what we know to be true – things are not yet right. I begin Advent with a lament. I begin, I hope, with eyes to see and ears to hear those around me who can tell it true. If you cry out from the fringe of the city – may I hear you. If you protest in the streets and shut down highways – may I hear you. If you say the scales of justice are weighted against you and your sons – may I hear you. If you describe your fears – may I hear you and not turn a deaf ear. I pray this Advent that my small act of witness can transform me into an accomplice for justice. *The drumbeat of Lamentations is ‘none to comfort, none to comfort, none to comfort.’ It haunts me. In a devastated landscape, Zion’s daughter finds none to comfort her. She mourns alone and made more alone as no one, not even God, will see her pain. I want to raise my hand and say ‘I will comfort!’ But I know I have much to learn about how to sit alongside the broken-hearted and be any kind of comfort at all. But it is my deep desire this Advent to learn the ways of true comfort for those who mourn in lonely exile here. I will join you in the wanting, that waiting. Thank you, Kelley. Kelly this morning I read these words that articulate so well the lament deep within me. My heart always aches at this time of year for each one who longs for something different, and hope seems to again be deferred. I too will become part of this waiting, be available to be a witness, “to be transformed into being an accomplice for justice” and hope.